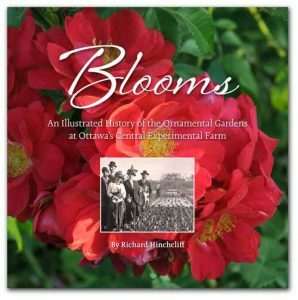 A new book from the Friends of the Farm has arrived – Blooms: An Illustrated History of the Ornamental Gardens at Ottawa’s Central Experimental Farm. Local author Richard Hinchcliff pays tribute to the successes of ornamental horticulture at the Farm and the beauty of the gardens within this National Historic Site.The creative designer is Alison Hall, who designed our popular For the Love of Trees book. For a preview of the Blooms book, LOOK INSIDE! 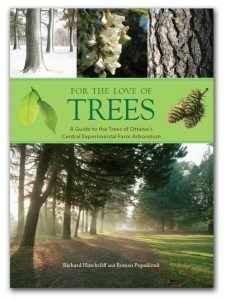 The Friends of the Farm are pleased to offer For the Love of Trees: A Guide to the Trees of Ottawa’s Central Experimental Farm Arboretum by Richard Hinchcliff and Roman Popadiouk, with illustrations by Karen (Gier) Cameron. The book is an illustrated tribute to the heritage collection of trees at the Arboretum from 1889 to the present. It reveals over 580 colour photographs and 75 drawings of 92 tree species. For over 125 years, the Central Experimental Farm has gained international recognition as a centre for agricultural research. But a farm is also the men and women, and their children, who lived and worked here over the last century. 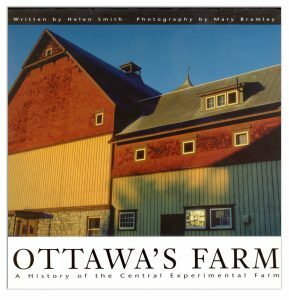 Ottawa’s Farm and its “Farm kids” by Helen Smith and Mary Bramley, is a must-have for all history-lovers and those who wish to know more about the Farm and its kids who grew up in a unique rural community. “This book is about Canada and its development, about brave and dedicated men and women, and their successes in the face of adversity…. 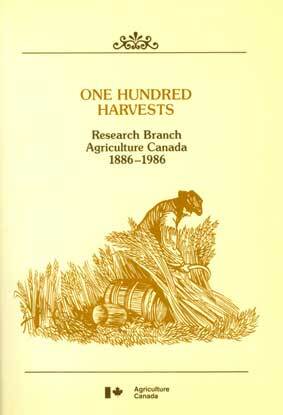 One Hundred Harvests has been written to help celebrate a century of agricultural research into soil management, crop and animal production, protection, utilization, food quality and food processing.” Excerpts from the Forward by E.J. LeRoux, ADM, Research, Ottawa, January 1986.